NICE AND COOL CARS FOR 2011. 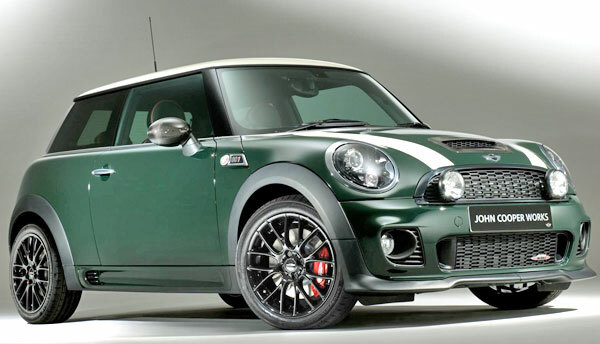 Several manufacturers, including MINI, will integrate new models to its product lines in 2011. There are some models coming completely redesigned for 2011 such as the Honda Odyssey, the Volkswagen Jetta or the Jaguar XJ, but there are also all-new models that will make lot of noise in the year as the CT 200h, the iQ or the Countryman, that are exciting for its novelty, because they represent the incursion of a brand into a new niche or because they are the beginning of a new design direction. This four-door coupe began as an idea and it turned into a car full of style. This is the last member of the club which Mercedes-Benz founded in 2004 introducing the CLS and its unique combination of four doors and a low and inclined roof-line. However, the Audi version differs in that it is technically a hatchback. The concept and name were presented four years ago at the Detroit Auto Show and GM did not stop talking about it until the Volt finally appeared on the streets. The EPA says it can go up to 35 miles on battery power, after that, the gasoline engine can go other 344 miles. It's small and cute inside, more than you expect, plus it offers a good speed and good behavior. Much has been said about this model, due to our weakness for models like the Honda Fit, but this new Ford subcompact has style and it is much more efficient, plus it offers very cool technologies like SYNC system and the dual-clutch automatic transmission. Also it shares the dynamic driving of the European model and is undoubtedly it is a small car as we rarely see from a domestic manufacturer. It is the spiritual successor of the adored CRX and the first generation of the Insight but with more expectations. Although it is not as sporty as the CRX or as efficient as the Insight, this new hybrid sport is an interesting mix. In both models loyalists will love this inexpensive two-seater full of style and fun to drive. It was designed to compete with sedans like the Lexus LS therefore this South Korean includes that left by the Hyundai Genesis sedan to offer a large and luxurious. It has a V8 engine with 385 horsepower and six-speed automatic transmission and options such as reclining seats, cooled rear console and sound system with 17 speakers, all for a initial price of $ 60,000. In short it is the closest competitor of the Audi A3 but with Prius engine and the look of the Toyota Matrix or Mazda3. It comes with a gasoline engine and an electric motor giving it 134 hp, a performance of 42 miles per gallon and can accelerate from 0 to 60 miles in 9.8 seconds, while the sports suspension improves its performance which is that demand the real-world drivers. The idea of making a MINI crossover seemed as silly as asking for a diet drink with a double hamburger, however was obtained a good result, as the Countryman keeps the dynamic driving and engine options with two more doors than their brothers, also it is higher and provides larger passenger and cargo space. It also has all-wheel drive and an Initial price of $ 22 000, reasons that could assure it success in the segment of the giants. Nissan must be thanked for having the courage to make an unique design and put it on sale to prove that there is more acceptance for things that look different. Beyond its shape, the car is sporty, turbocharged as a small crossover and includes AWD system. Priced starting below $20,000 thousand and it far exceeds the $25,000 with a navigation system, leather seats, moonroof and more. The LEAF is not the first all-electric car, but no one had been so important, as it was launched along with the Volt but cheaper and with the scoop to be 100% electric and zero emissions. It is more spacious, provides seating for five occupants and has a range estimated by the EPA of 73 miles (The Volt gets 379 miles but with the battery and the tank completely full) The only thing we would ask for the Japanese model is a bit more lumbar support, but otherwise it is quite comfortable. The iQ is a micro car that appeared in the New York Auto Show in 2009, amid the success and strong sales of the smart fortwo, but this have cooled and put in doubt the success that it could have among the U.S. public. Scion has been known for its small and original cars and the iQ fits the portfolio, although it is expected to arrive with a lower price, a promise of performance close to 40 miles per gallon and technology that allows an easy customization that will put Scion on the map.